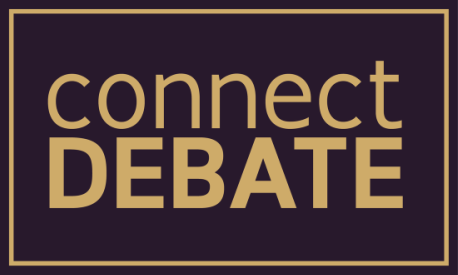 Connect Debate is a cost-free Lincoln-Douglas debate mentoring program. Our goal is to provide coaching and advice to underclassmen debaters from upperclassmen. Unlike regular coaching and other volunteer debate programs, our program uses current debaters, who are considerably more invested in topic preparation and debate trends than most coaches, who have already graduated high school. If you apply for mentorship and are accepted, you will be matched with a mentor in your region. You can treat your mentor like a coach; ask questions about topic preparation, case edits, or strategy. Every week, you'll also be able to Skype with your mentor to work on drilling, case writing, and any other debate help you might need. We also help plan out your tournament logistics, so if it's the first time you've ever been to a national circuit tournament, don't worry! We can help you plan out trips, from entering the tournament to booking your flights. There are separate applications for mentors and students. Tutoring sessions will run on a topic to topic basis, so tutors will be matched at the start of each topic. However, applications are accepted at any time. For students, the most important factor in the application is the demonstrated passion for debate. While tournament results are valuable for personal growth, we believe that the most important factor for choosing and matching applicants is their desire to learn. Following the application, students will receive an email over the following 24 hours with important information about the program. Mentors apply through a separate application. While TOC experience is not absolutely required, we recommend that mentors be upperclassmen and have extensive experience on the national circuit. Furthermore, mentors must have a passion for teaching debate and agree to coaching duties. Mentors will be given certificates at the end of each topic to signify their completion of coaching duties, and may continue teaching onto the next season if they'd like to.